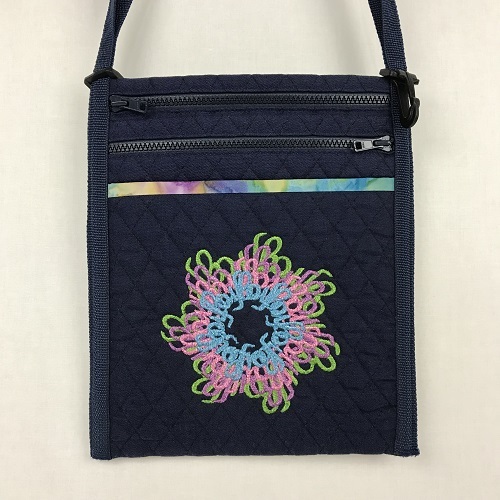 This denim quilted #721 Messenger Cross-body bag has 2 zipper pockets with #5 sport zipper plus 2 other pockets. Back pocket is accented with binding trim. 2 swivel hooks on strap for keys. 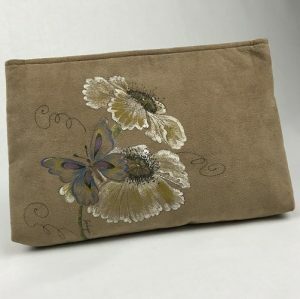 Arched embroidery design in mixed colors for additional designer touch.